December 13th - the weekend is just around the corner. For me the planing for christmas is getting started. I look forward to caramelized potatoes, we only have this sweet goodness once a year. Caramelized potatoes are an important part of the traditional christmas dinner. Basically it's caramel covered small boiled potatoes, what can be wrong with that? The caramelized potatoes is an old dish dating back to 1785, but back then it only was for the wealthy people, because sugar and butter was expensive. As a child I didn't care for these, but I think it was the kind of potatoes my mom used. They were kind of bitter. Now I use small firm potatoes, best of all fingerling potatoes. Fingerlings are the Rolls Royce of potatoes wether they are boiled, roasted or caramelized. I was taught to make caramelized potatoes by my mom, but she didn't use any measurement. It was always just rough estimates. 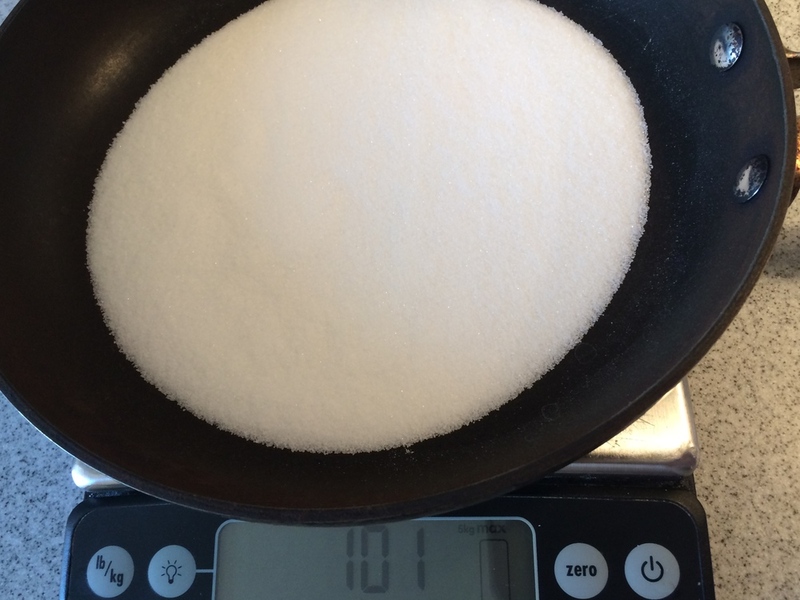 The amount of sugar should be enough to cover the bottom of your skillet, so you can't see the bottom. And add a little dollop butter. With these measurements it's hard to write a recipe. Boil and peel the potatoes. Do it in time for them to cool completely. Heat a large skillet over high heat, pour in the sugar and melt it. When the sugar are turned the color of light amber, add the butter and stir with a wooden spoon. Rinse the potatoes with cold water, and carefully pour the potatoes into the hot caramel. Lower the heat and make sure the potatoes get covered in the caramel and get heated through. Serve immediately, otherwise the potatoes looses the shine. You can caramelize pearl onions this way. Caramelized pearl onions are great as a side for red meats.